Matthew R. Ryan concentrates his practice in litigation, with a focus on insurance and health care fraud. Matt has significant experience handling a wide variety of complex commercial litigation disputes representing corporations, insurers, lawyers, directors and officers, and other professionals involving RICO, fraud, negligence, and contractual claims. 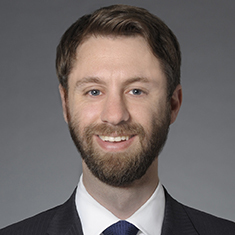 Prior to joining Katten, Matt was an associate at a law firm in Washington, DC.